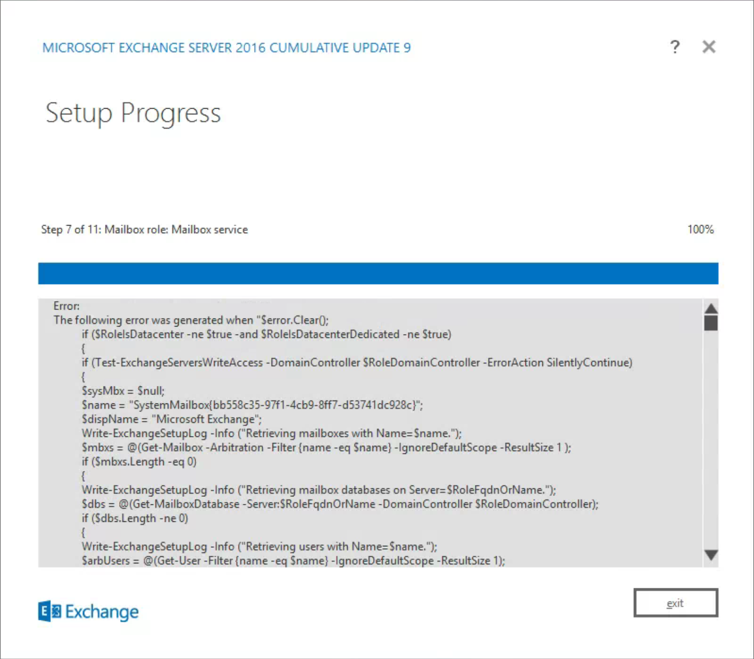 Last night was a late one, Exchange 2016 update (CU9) failed to install and left the server in an unusable state. Write-ExchangeSetupLog -Info "Skipping creating E15 System Mailbox because of insufficient permission." “Setup previously failed while performing the action “BuildToBuildUpgrade” You can’t resume setup by performing the action “Install”. 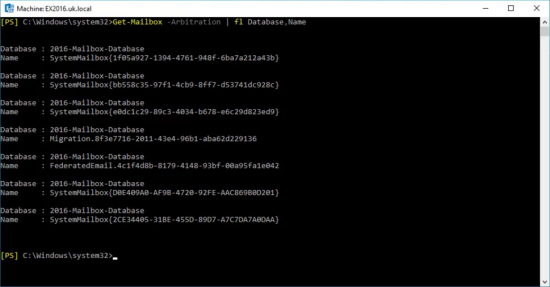 Even attempting to run the command from other DC’s, and the ‘Root Domain’ failed. Note: I am aware, you can remove the ‘Action’ and ‘Watermark’ Registry keys to try and bypass this error, (see link at the bottom of the page), but that didn’t fix the problem. Note: If you see nothing , check this article. 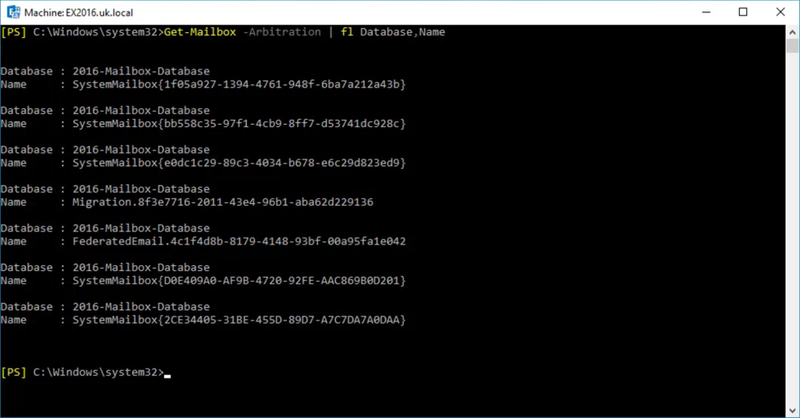 Get-Mailbox -Arbitration | Set-Mailbox -Arbitration -Database "Database-Name"
Now, start the Exchange upgrade again, and it should recover the broken install, and then complete without error. 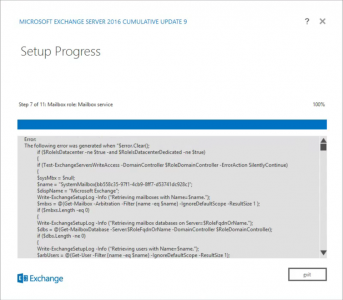 Reboot your server, and check Exchange is healthy. Massive credit and thanks to Mr Saravanan Krisha Murphy, for his patience, support, and technical skills.